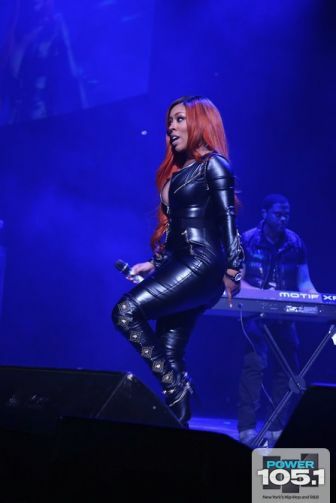 Earlier in the month, New York’s Power 105.1 celebrated their ‘2013 Powerhouse‘ concert which was presented by Play Gig-it. The sold-out event was held at the Barclays Center in Downtown, Brooklyn. 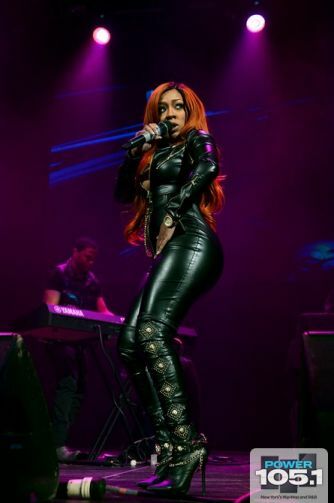 Even though the fellas owned the night, Atlantic Records R&B singer K. Michelle held it down for the ladies during her soulful set. 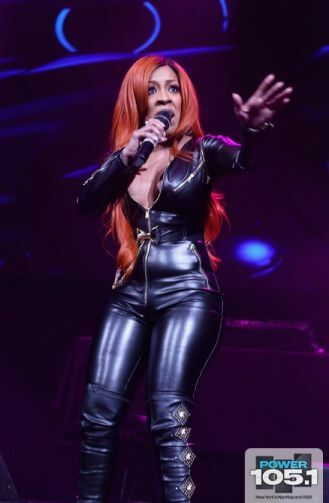 The “Can’t Raise A Man” singer took the stage and performed in a black leather catsuit which she matched with $280 Jeffrey Campbell Over The Knee Boots – Purdy High Heel. These 1990’s supermodel-styled boots feature a Manmade upper, fabric lining, manmade sole, pointed toe, goldtone metal embellishments; functional inside and partial zip. You can purchase them at Bloomingdale’s. 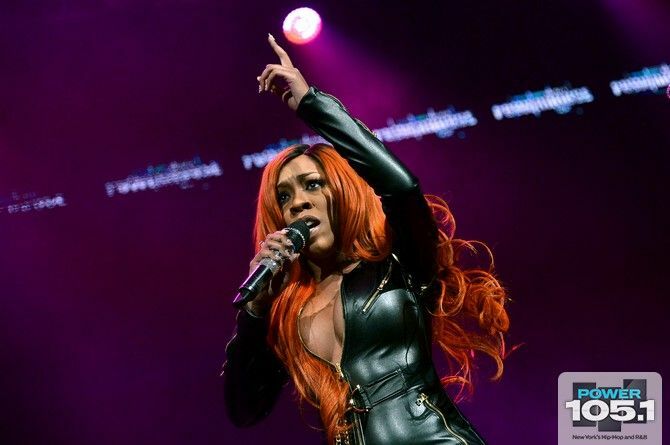 K. Michelle is currently on her ‘Rebellious Soul‘ tour with Sevyn Streeter and Tiara Thomas. She is also releasing a Christmas version of her Rebellious Soul album just in time for the holidays.